In March, yoga programs in schools and hospitals were featured in a Wall Street Journal article that summarized the many benefits for children’s overall mental health. Clinical studies have shown that yoga not only improves physical fitness in children but also contributes to better academic performance and emotional balance. In children with special needs, yoga can be especially beneficial (Glazer, 2011). Michelle Fury, LPC, RCYT, a yoga therapist at Children’s Hospital Colorado who also has a master’s degree in psychotherapy, contributed to the article. She says, “At Children’s Hospital Colorado, we are using yoga as a psychotherapeutic intervention to help the child’s state of mind.” Yoga is part of an integrated arts therapy program that also includes music, art, and dance. 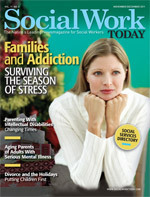 She works closely with social workers to communicate patient progress in group and individual therapy. Children attend yoga classes that are generally organized according to similar diagnoses. Fury works with children with anxiety and other mood disorders, eating disorders, autism, and thought disorders. She also works with teens in the hospital’s day treatment and inpatient adolescent psychiatric unit who are at risk of harming themselves or others. Their diagnoses may include psychosis, severe mood disorder, eating disorders, and/or schizophrenia. Among Fury’s successes in using yoga to achieve therapeutic breakthroughs are Hayley*, a young teenage girl with an eating disorder, and Carla*, a young girl with impulse control and aggression issues. Fury describes Hayley as “a very quiet girl who was emotionally shut down and did not want to give up her eating disorder.” In a multifamily class for teens with eating disorders and their parents, Fury used yoga postures to teach body awareness and the yoga philosophy of letting go. Later, during a group therapy exercise, Hayley was able to share her thoughts with her peers for the first time. “Yoga helped her feel empowered enough to speak up, be listened to, and receive support, which eventually she was able to apply to her eating disorder,” Fury explains. Carla was a very smart, athletic child whose impulse control and aggression were expressed by punching other children. “She had clear leadership skills but was headed toward gang leadership,” Fury says. Carla began taking Ashtanga yoga with Fury, where she was able to channel her energy and rage into powerful poses. She also began playing basketball and then focused more on yoga breathing, relaxation, and meditation. After a year of one-on-one yoga therapy with Fury, Carla was discharged from therapy. Yoga classes that go beyond focusing on children’s physical fitness are increasingly being offered in yoga studios, too. Kelly Wood, ERYT, a certified children’s yoga teacher, estimates she has taught yoga to more than 75,000 children of diverse cultural backgrounds. Specializing in children aged 2 1/2 to 11, Wood simplifies the ways in which yoga helps children navigate the stresses of daily life and learn why practicing helps their bodies, brains, and hearts feel calm. Scientifically, the mental benefits of children’s yoga result from calming heart rate, which signals the brain to activate the parasympathetic nervous system response. Body systems such as circulation, glandular balance, digestion, and immunity are also enhanced, Wood explains. “Balancing the body’s systems has a great impact on mental perspective. Our perception opens when we feel at ease and safe,” says Wood. Because children are subject to sensory overload, just like adults, the sympathetic nervous system (“fight or flight”) is often engaged and creates stress. By activating the parasympathetic nervous system, yoga can reduce stress and increase the ability to focus and learn. “Focus, concentration, creative thinking, and emotional skills are enhanced with mindful breathing practiced in children’s yoga,” Wood notes. She has witnessed older children develop patience and help younger children with yoga poses, heard her class members talk about how using yoga breathing before tests helped them focus, and watched less confident children become more active participants and even leaders in group interactions. Candace Morano, LMSW, RYT, has combined her social work background with yoga to practice educational kinesiology, a science-based program that utilizes the brain combined with the healing power of yoga to heighten a child’s awareness, concentration, and ability to learn. She also leads programs for teachers and parents of children with special needs. Morano has worked with children with ADHD, autism, learning disabilities, cerebral palsy, neurologic disorders, Down syndrome, and sensory delays as well as with children in foster care or homeless shelters who have a range of emotional issues. “I really believe that yoga can provide benefits for all health conditions. Yoga brings wholeness to the self, merging the physical, mental, psychological, and spiritual,” Morano explains. As an example of how yoga can benefit special needs children, she cites a nonverbal teen who had difficulty with many physical tasks, both gross and fine motor, and with socialization. Morano combined yoga and educational kinesiology movements to enhance the integration of body and brain function, which reduces stress. “After a full school year of yoga, which was part of the school curriculum, she engaged more appropriately outside of the home and socially enjoyed more time with friends. There was also improvement with spatial issues, which translated to reduced resistance in completing math homework. She began to use scissors, volunteered to wrap some Christmas presents—her mother noticed an improvement in overall body coordination,” Morano notes. Morano says yoga is now welcomed in many schools as part of the curriculum. Fury notes that social workers at Children’s Hospital Colorado see the therapeutic value of yoga. The hospital’s chief of psychiatry, Marianne Wamboldt, MD, who also underwent training to become a registered yoga teacher, supports yoga as an important part of the team therapy approach. Research on yoga’s mental health benefits for children and teens is being vigorously pursued by collaborations among medical professionals, social workers, and yoga instructors. For example, Wood has begun working with Jane Tavyev, MD, a pediatric neurology/neurodevelopmental disability specialist at Cedars-Sinai Medical Center and UCLA, to research the benefits of yoga in children with autism. Wood is teaching three yoga/meditation classes per week to children aged 4 to 6 with autism. A research review of yoga as therapy for children and adolescents was recently published and can serve as a guide for clinicians (Kaley-Isley, Peterson, Fischer, & Peterson, 2010). Street Yoga, a new organization that offers yoga classes to homeless and at-risk young people in Portland, OR, and Seattle, is beginning more formal research on yoga therapy for youths healing from trauma and abuse. Their teacher training program is endorsed by the National Association of Social Workers. — Jennifer Van Pelt, MA, is a Reading, PA-based freelance writer. • International Association of Yoga Therapists: www.iayt.org. Glazer, E. (2011). Namaste. Now nap time. The Wall Street Journal. Retrieved from http://online.wsj.com/article/SB10001424052748703386704576186463216602684.html. Kaley-Isley, L. C., Peterson, J., Fischer, C., & Peterson, E. (2010). Yoga as a complementary therapy for children and adolescents: A guide for clinicians. Psychiatry (Edgmont), 7(8), 20-32.